A Maryland Legal Aid attorney claims an officer in the Harford County Sheriff’s Office was racially motivated when he mistook the lawyer for a suspect, detained him in the courthouse and questioned him. Harford County Sheriff Jeffrey R. Gahler has said his office is investigating the allegation. 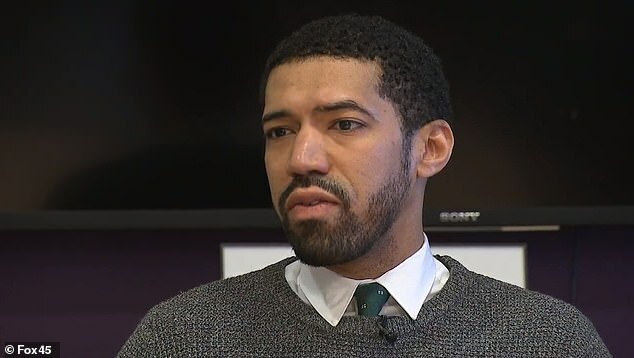 Rashad James, an attorney for Maryland Legal Aid’s community lawyering initiative, filed a complaint with the sheriff’s office against an officer. James alleged the officer detained and questioned him — suspecting he was his client impersonating an attorney — on the basis of his race. James and his client are African-American. The complaint asked the sheriff’s office to conduct a full investigation and record the incident in the officer’s personnel file. On March 6, James appeared in Harford County District Court to represent a client. His client was not present, but there was an open warrant out for his client’s arrest, according to the complaint. The complaint alleges an officer detained and questioned James after the hearing, suspecting he was his client impersonating a lawyer. James showed his driver’s license, but the officer did not believe it was valid, the complaint said. James said he was the only black attorney in the courtroom, and it was his first time representing a client in Harford County. After about 10 minutes, he was released, according to the complaint. A statement from Maryland Legal Aid said officials there were “incensed” about the “deeply disturbing” incident, comparing it to other episodes of racial profiling. “Discrimination has no place in our society, especially not within the ranks of our judicial system, where the legal playing field is often already unleveled for citizens who cannot afford legal representation,” they wrote in a statement. Gahler said in a statement his office was aware of the accusations and investigating them.